Have you ever wondered why people choose to donate a kidney? And whether these donors regret their decision later? Amy Waterman first became interested in organ donation over 20 years ago when she conducted surveys of kidney donors as a graduate student in social psychology at Washington University in St. Louis. “It was amazing that hundreds of living donors we surveyed not only told us that they didn’t regret their decision, but also found it to be one of the most profound decisions they had ever made,” said Waterman, now an associate professor-in-residence in the division of nephrology at the David Geffen School of Medicine at UCLA. While they didn’t regret their decision, many said they wished they’d had more information before becoming a donor, Waterman said. A seed was planted in Waterman that grew into a professional mission: educating kidney patients, potential donors and the public about the importance of organ donation. Her passion for donor education eventually led to notice from the White House and a key role in a national online education initiative. Today, Waterman is director of the Transplant Research and Education Center (TREC), an interdisciplinary research and education center based at UCLA that puts findings from transplant-related clinical trials into practice. Among other things, Waterman designs new educational programs, including Explore Transplant and Explore Living Donation, to help individuals make informed transplant and living donation decisions. Besides training health care providers, her research and education efforts have helped more patients with kidney failure to move off dialysis toward eventual transplant. Waterman works with UCLA transplant patients participating in clinical trials to help design education resources such as videos ,iPad mobile applications, and information on overcoming financial and practical barriers to transplant surgery. In 2014, Waterman and Dr. Gabriel Danovitch, medical director of the UCLA Kidney and Pancreas Transplant Program, represented UCLA at a consensus conference that developed best practices to increase living donation rates. “We are now testing the effectiveness of the first individually tailored program of living donation education for kidney patients at UCLA,” she said. 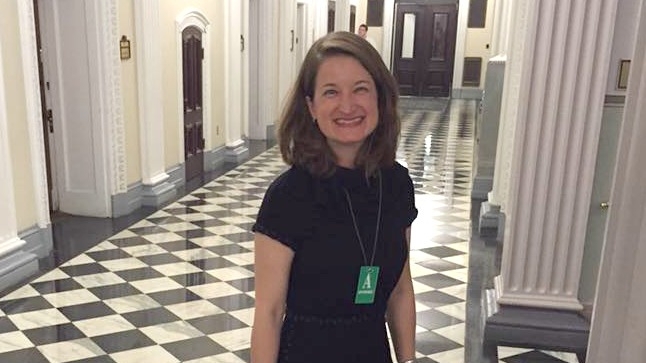 However, the highlight of her efforts came in June 2016 when Waterman participated a White House Organ Summit spurred by President Obama’s call to reduce the organ transplant waiting list. Here’s how she describes her experience. Waterman’s address at the White House led to her appointment as the co-chair and UCLA representative to the Blue Ribbon Advisory Panel to create the United Network for Organ Sharing (UNOS) Kidney Transplant Learning Center. The Learning Center, which will be launched publicly at the end of 2017, will be an online hub containing educational resources about transplantation and living donation. To learn more about TREC, Explore Transplant, and to receive updates about the UNOS Kidney Transplant Learning Center, go to www.exploretransplant.org or follow Waterman at @ExploreTxplant on Facebook and Twitter.